Sambucus. (The Latin name, perhaps from Sambuca, a kind of harp, made from elder wood.) ELDER; ELDERBERRY. Caprifoliaceae. Some 25 species of perennial herbs, deciduous shrubs or small trees. Branches thick, pith solid, often covered with lenticels. Leaves opposite, imparipinnate, often stipulate; leaflets serrate. Flowers white, regular, small, numerous, in flat-topped, terminal, cymose corymbs or panicles; pedicels articulate at apex; calyx small, 3-5-lobed; corolla rotate, deeply 3-5-lobed, lobes imbricate or valvate in bud; stamens 3-5, inserted at base of corolla, filaments short; stigma subsessile, 3-5-lobed; style 3-parted; ovary semi-inferior, 3-5-celled, each cell with one pendulous ovule. Fruit a berry-like, globose or subglobose drupe, with 3-5, 1-seeded pyrenes; pyrenes oblong or ovate, cartilaginous. Temperate and subtropical N Hemishpere, E and NW Africa, S America, E Australia, Tasmania. A versatile genus grown for its foliage, flowers and fruit, used in mixed hedges and screens, and in urban massed plantings. The berries are attractive to birds. One member of the genus, Sambucus ebulus, is an uncommon perennial herb or subshrub, with panicles of creamy pink flowers, growing to 1m; it is suitable for use in the wider landscape since where conditions suit it can be extremely invasive. The fruit of Sambucus caerulea and Sambucus canadensis is used in jellies, pies, sauces and wines. Elderberry wine is made by fermenting the juice from the ripe fruits of Sambucus nigra, elderflower wine, still or sparkling, from the corollas. Sambucus nigra also contributes to two notable conserves - elderberry and apple jelly, and gooseberry and elderflower jelly. Many species are too large and coarse for small gardens, and some need care in siting since they spread rapidly by suckers. Sambucus species tolerate a wide range of soils (including chalk), atmospheric pollution, coastal situations and shade, the temperate species withstanding temperatures of at least -25ºC; Sambucus canadensis, grows where winter temperatures drop to -34ºC. The most commonly grown species, Sambucus nigra, Sambucus racemosa and Sambucus canadensis, have given rise to a large number of cultivars, generating a range of possibilities in habitat, fruit and flower colour, and various colours and forms of foliage, Sambucus nigra ‘Aurea’ and Sambucus canadensis ‘Aurea’ being amongst the most striking of the deciduous golden-leaved shrubs. Cut-leaved culivars such as Sambucus racemosa ‘Plumosa’ and Sambucus canadensis ‘Acutiloba’ are exceptionally graceful and ornamental. Plant in rich moist soil, in sun or part shade. The golden-leaved cultivars colour earlier in sun, but retain colour better in cool moist shade. Propagate from hardwood cuttings of the past season’s growth, with a heel so as not to expose the pith in winter. For best foliage effects, prune to the ground in winter, or take out old wood and cut back young shoots by half. 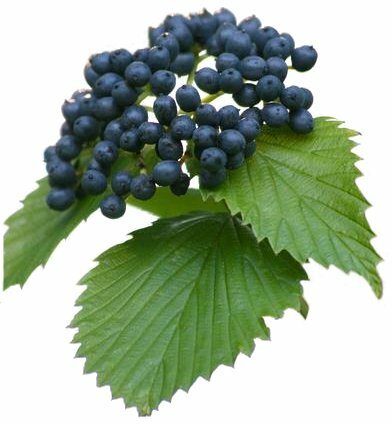 BLUE ELDER; BLUE ELDERBERRY. Shrub or small tree to 8m, usually to 4m in cultivation. Branches slender; young shoots glaucous. Leaves to 25.5cm, glabrous to pubescent or hispidulous beneath, 5-7-somtimes 9-foliolate; leaflets to 15 x 5cm, blue-green, serrate. Flowers yellow-white, to 6mm diameter, in flat, long-stalked umbels to 18cm diameter. Fruit black, grey-blue pruinose to 6mm diameter. Summer. Western N America. variety neomexicana. Leaflets 3-5, narrow-lanceolate, grey-green. Fruit richly pruinose. Arizona, New Mexico. variety velutina. Young shoots densely white-pubescent; leaflets larger. California. Z5. AMERICAN ELDER; SWEET ELDER. Shrub to 3.5m, often suckering. Branches with sparse lenticels; young branches glabrous. Leaves 5-11-usually 7-foliolate; leaflets to 14 x 6.5cm, subsessile, oval, oblong or rounded-ovate, acuminate, sharply serrate, lowermost pair often 2-3-lobed, glabrous or somewhat languinose beneath. Flowers ivory, in spreading convex umbels with long radiating branches to 20.5cm diameter. Fruit to 5mm diameter, purple-black. Summer. Eastern N America. ‘Acutiloba’: leaflets finely dissected, deep green. ‘Argenteo Marginata’: leaves edged silver. ‘Aurea’: shoots pale green; leaves golden yellow; fruit red, sweet-tasting. ‘Chlorocarpa’ (‘Speer’s Elderberry’): leaves pale yellow-green; fruit light green. ‘Maxima’: robust, tall-growing; umbels to 40cm diameter, flower slalks stained ruby. ‘Rubra’: fruit pale red. variety submollis. Leaves softly grey-pubescent beneath. Z3. 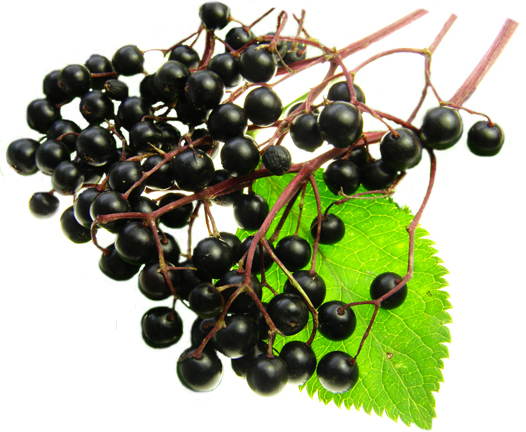 BLACK ELDER; BOURTREE; COMMON ELDER; ELDERBERRY; EUROPEAN ELDER. Shrub or small tree to 10m. Bark becoming fissured, corky, grey on trunks, covered in lenticels on branches; young branches glabrous. Leaves to 30.5cm, 3-9-usually 5-foliolate; stipules subulate, 4mm, sometimes absent; leaflets to 12 x 6cm, ovate-lanceolate to ovate-elliptic, sharply serrate, glabrous except sparsely pubescent on veins beneath, dark green above, lighter beneath. Flowers cream, 5mm, muskily scented, in flat-topped umbels to 20cm diameter; corolla to 9mm diameter; anthers cream. Fruit globose, to 8mm, shiny purple-black. Summer. Europe, N Africa, SW Asia. ‘Alba’: fruit pellucid chalky white. ‘Albopunctata’: leaves splashed white, especially at margins. ‘Albovariegata’: leaves coarsely speckled white. ‘Argentea’: leaves white, somewhat reverse variegated green. ‘Asplenifolia’: leaves fern-like. ‘Aurea’: leaves golden to lime green, petiole flushed pink. ‘Auromarginata’: leaves edged gold to yellow-green. ‘Bimble’: to 3m, leaves spotted and splashed yellow; flowers white; fruit black. ‘Cae Rhos Lligwy’: bark grey; fruit large, green, gooseberry tasting. ‘Dwarf Form’: to 30cm, shoots densely suckering; leaves trifoliolate, leaflets broadly obovate. ‘Fructo-Luteo’: fruit creamy gold, sometimes tinted red; slow to mature. ‘Guincho Purple’: to 3m; leaves tinted purple; flowers flushed red. ‘Hessei’: habit arching; leaflets to 12cm, sessile, very slender, untoothed, glossy green. ‘Laciniata’: leaflets not filamentous but consistently and finely lacinate. ‘Latisecta’: leaflets 4-5-lobed per side, oak-like. ‘Linearis’: leaflets irregularly cut to midrib, blade often reduced to midrib. ‘Luteovariegata’: leaves initially dark golden-yellow, lightening to white-yellow. ‘Marginata’: leaflets broadly edged gold at first, later margined pale yellow to cream. ‘Nana’: to 1m, slow-growing, habit laxly rounded. ‘Pendula’: branches procumbent, or pendulous of grafted as a standard. ‘Plena’: flowers double. ‘Pulvurentula’: leaves striped and splashed pure white, appearing wholly white at first. ‘Purpurea’: leaves metallic maroon-bronze flecked pale green; flower buds flushed pink, anthers pink. ‘Pygmy’: habit very compact, to 60cm. ‘Pyramidalis’: habit erect, broad-based; leaves crowded. ‘Rosea-plena’: flowers double, flushed pink. ‘Roseiflora’: flowers single, blushing pink. ‘Rotundifolia’: slow-growing; leaves often trifoliolate, leaflets broad, bright green; inflorescence sparsely flowered. ‘Viridis’: inflorescence pale green throughout; fruit pale green turning white or translucent-striped. ‘Witches Broom’: dwarf, to 45cm, clump-forming; flowers absent; semi-evergreen. Z5. There are other species of the genus Sambucus, but this website has confined itself to culinary considerations.